On our last day in the city, Red-haired Sister drove in to join us, and we went to the Museum of Natural History. It's the museum that I loved the most as a little kid. The big dinosaur skeletons that towered above us were as impressive as I remembered. Even though I have mixed feelings about all the stuffed dead animals in the museum, I have to admit that the dioramas are spectacular. The scenes behind the animals are so beautifully painted that it's really like being at an art museum. "These put those shoebox dioramas we made in elementary school to shame," Red-haired Sister observed. When we needed a break, we stopped in the cafe for juice — and a glass of red wine for my father. While I sat with my parents, chatting about where to go next, my sister went off to the counter and returned with platters of fruit and cheese. After our snack, we took a rest in the comfortable chairs of the planetarium and watched a show about dark matter. Not all the animals in the museum are dead. 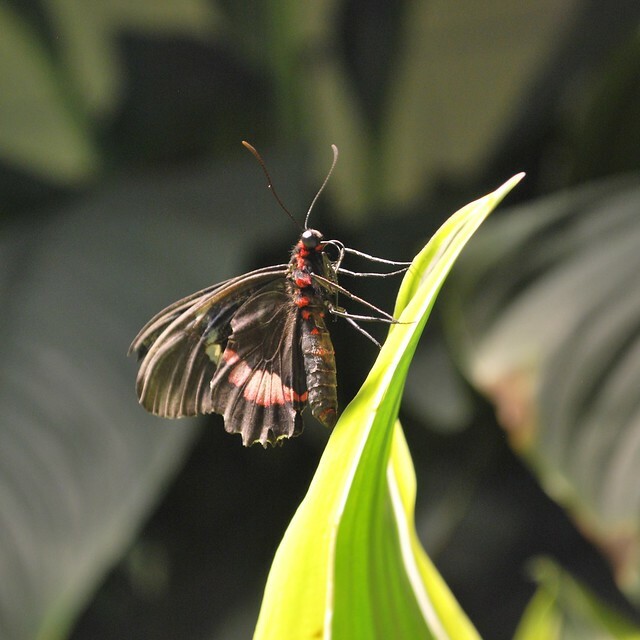 My sister led us to the butterfly room, a humid room filled with plants and butterflies that darted about, sometimes even landing on anyone who stood still. I could have spent hours there, just watching all the colorful butterflies skimming about above the plants. At the end of the day, my sister drove us to Times Square. We usually try avoid the throngs of tourists in the city, but in this case, there was a street performer we wanted to see: Dandelion Niece. Her hair no longer looks like the top of a dandelion: it's long and blonde. With her hair in one long side braid and a blue gown, she looked just like Elsa from the Disney movie Frozen. When we arrived on the scene, a little girl and her mother saying, "Can we get a picture with you?" I think the little girl thought she actually was Elsa: she was so excited. Dandelion Niece says the amount of tips she gets in an hour is more lucrative than any summer job she could get. It looked like a fun way to spend a summer afternoon. I LOVE the Museum of Natural History. I have spent many happy hours meandering about the exhibits. I need a trip to Manhattan! 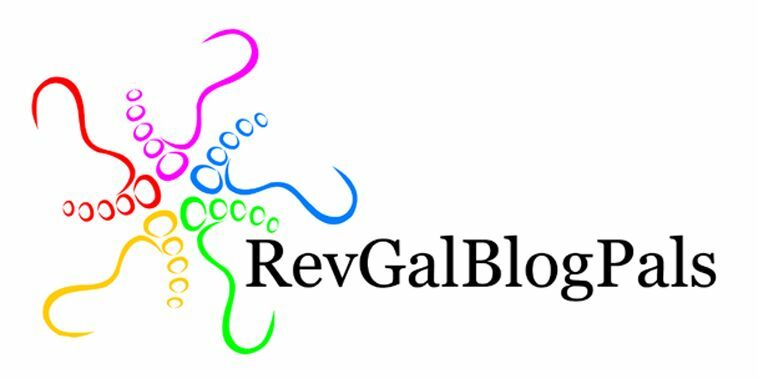 Thank you jo for visiting my blog today. plus, have you read Brian Selznick's Wonder? Susan: My father and I did wonder about all the signs on the dioramas that indicated people had donated money to have them restored -- and when we got back to the hotel, I read that very same story that you just linked to. I haven't read the Brian Selznick book. I will have to look it up. LOVE the NYC museums. There's just nothing like them. Glad you had such a great trip with your parents. Far Side of Fifty: One time when I was talking about zoos with my students, one of them said, "I love to go to zoos but I always feel guilty about it," and we all agreed that just about summed up how we felt. Times Square? That is where we will stay in July, above a Chinese restaurant, a liquor shop to left, a certain type of 'bookshop' to the right and a car rental place behind. I'm sure I would love the museum! I have heard that street performers do very well tip-wise! 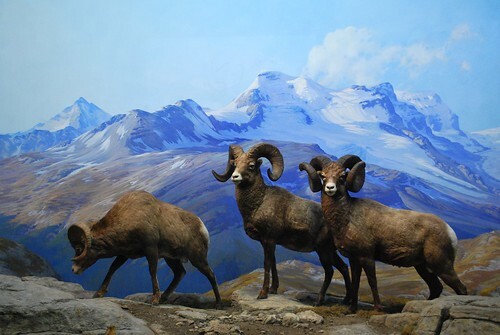 I just read an essay in Joni Tevis' The World is on Fire about this museum and the dioramas.